Protecting your images from the copyright abuse is a natural concern, which is the reason why a lot of people are using watermarks. However, the community on Instagram isn't too keen on watermarks, so in this article we are going to explore all the reasons why you should and shouldn't use watermarks on your photos and we are going to go through some of the best apps for iPhones and Android Smartphones that can help you add watermarks to your photos effortlessly. Watermarks mess up the composition of your shot: A good photographer is always concerned with the composition of a photo because finding the right balance between all of the visual elements within a frame is as hard as it sounds. A watermark can easily ruin that balance without a good reason since it will hardly prevent someone who decided to steal your work from actually doing it. Watermarks are easily removed: Don't think for a second that anyone with only a basic level of Photoshop skills, can't crop or clone stamp a watermark from a photo. Unless you intend to place a watermark over an entire image, like stock photography websites do, but even then removing a watermark is far from impossible. You won't look like a pro: A watermark will not make you look more professional than you already are, the quality of your photos will. Although photographers sign their prints all the time, a watermark can make you look bad in the eyes of the Instagram's community because you'll look like you think that your work is so good that everyone is going to try to steal it. Be humble, there are other ways of proving that you own the copyrights to a photo, like keeping the RAW file safely stored on your computer's hard-drive or including the copyright information in the photo's metadata. Your photos will look like they've been edited: With all the photo effects Instagram offers and all the photo editing options that are available to photographers, straight-out-of-camera pictures will earn you much more respect from the community on Instagram, than photos that are clearly edited. A watermark can often make people think that the picture has been edited since the photographer took the time to design and add a watermark to a photo. Adding watermarks will not make you famous: At first, it may seem like a good idea to use watermarks for the promotion of your business, but most Instagram users don't really read the names on the watermarks. Strive to produce photos that will make the viewers want to know everything there is to know about you because the quality of your photos is the best advertisement you can get. If, despite all this, you would still like to add a watermark to your Instagram photos, here are a few tips that will help you avoid making mistakes that can be harmful to the success of your images on Instagram. Use monochrome watermarks: Tastefully designed watermarks, that don't feature too many colors, will serve its purpose, and they will not distract the viewer of a photo too much. A minimalistic approach to watermark design is probably the best, less is more, so use fewer colors in order to achieve better results. Place the watermarks around the edges of a photo: As we already mentioned, adding new visual elements to photos creates all sorts of problems, but if you really want to watermark your photos, at least try to place them on the edges of a photo where they won't attract too much attention. Vertically oriented watermarks create less distraction: This is a great way to distract the viewer as little as possible while keeping the watermark on your photo clearly visible and readable. If you place a vertically oriented watermark near the edge of a photo, the spectator has a better chance of seeing a photo, before realizing that it has a watermark. Carefully choose the font and its size: Use simple fonts. There is no reason to utilize kitschy fonts that are not easily readable because it isn't likely that the viewer of a photo is going to spend time on figuring out what the watermark says. Don't let the watermark become the first thing your Instagram followers see on a photo because they will most probably just keep scrolling without spending a second to figure out what your photo really is about. More than 2 million downloads prove that eZy Watermark Lite is one of the best iPhone apps for adding watermarks at the App Store. 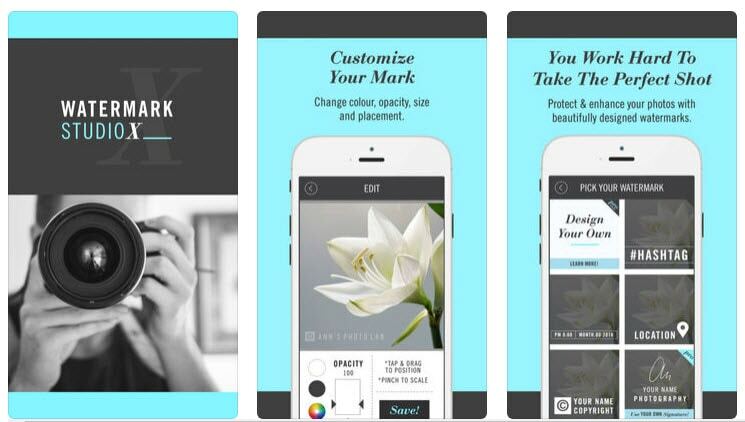 The app enables you to add watermarks using text, QR codes, logos or trademarks, while it also lets you import pictures from the camera, Facebook or Instagram. Exporting photos from the eZy Watermark Lite app to Instagram is an easy process that won't take too much of your time. The rich collection of fully customizable preset watermarks this iPhone app provides will enable you to add watermarks to your photos quickly while allowing you to be creative. Choosing a font or adjusting its size are just a few out of many options Watermark Studio X provides. To make things even better, new templates are being added daily to an already impressive collection of watermarks this app offers. 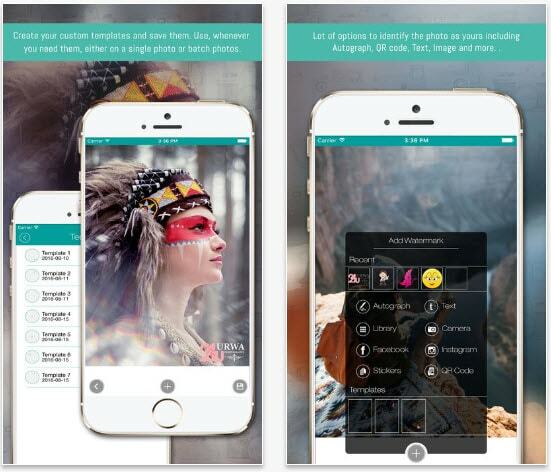 However, Watermark Studio X is only free for one week after you install it on your iPhone. Besides being one of the premier options for adding watermarks to photos with Android phones, Salt is also an app that lets you to add your contact info to pictures you post on Instagram. 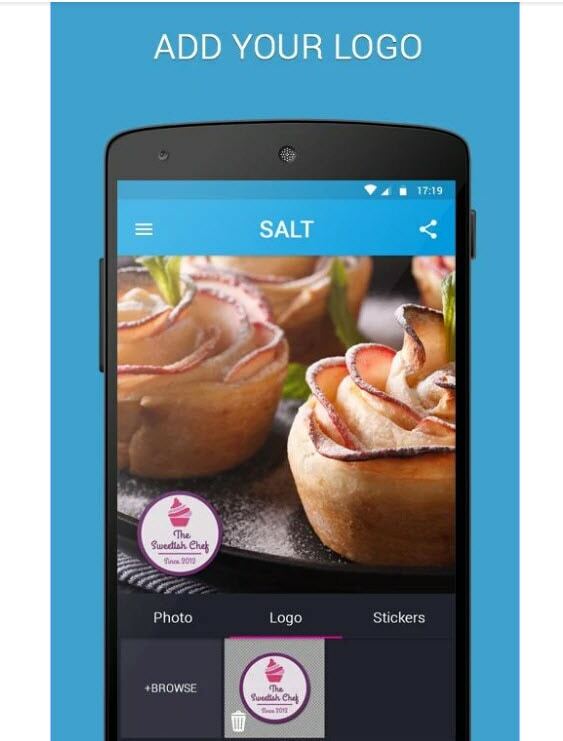 Cropping images into Instagram's standard 1:1 ratio is on the list of features the SALT app offers. Adding watermarks to your photos and protecting your intellectual property is made easy by this truly unique app for Android Smartphones. Photography enthusiasts, who would like to make sure that the memories from their travels are safe from harm, should download this photo editing app. Android users can design their unique watermarks with InstaMark, and in addition, they can also utilize beauty filters or choose from a vast selection of stickers, themes, and clipart. Both iPhone and Android Smartphone users can learn how to add watermarks to their photos using the iWatermark app, although the iPhone owners will have to pay $1,99 fee in order to download the app. 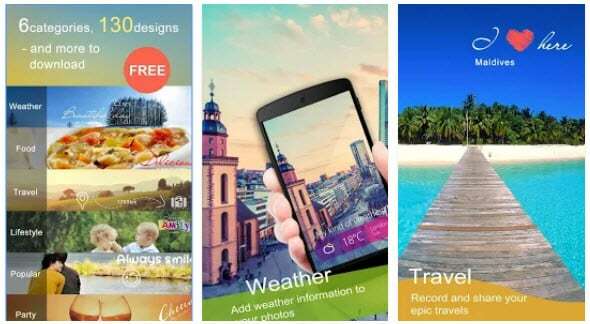 The version of the app for Android devices is free, but it contains fewer features. 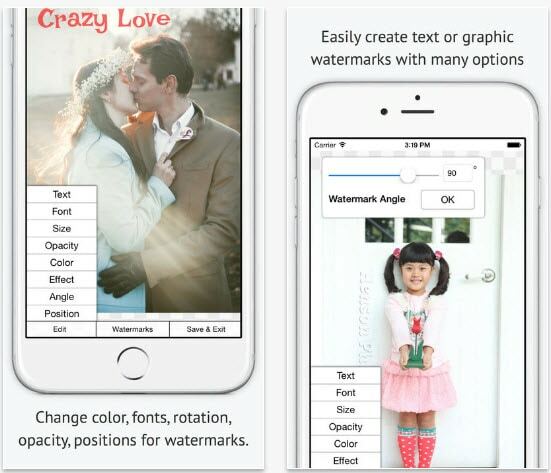 The iWatermark provides more than 150 different fonts that can be used to produce creative watermarks that will help your business grow, while iPhone users can also utilize over 30 high-resolution preset watermarks offered only by the iPhone version of the app.